We will need to phase out coal, says Bill Hare and Niklas Höhne. After the climate talks in Marrakech, our climate mission remains the same as what was set out in the 2015 Paris Agreement: to eliminate all carbon dioxide emissions by the middle of this century. 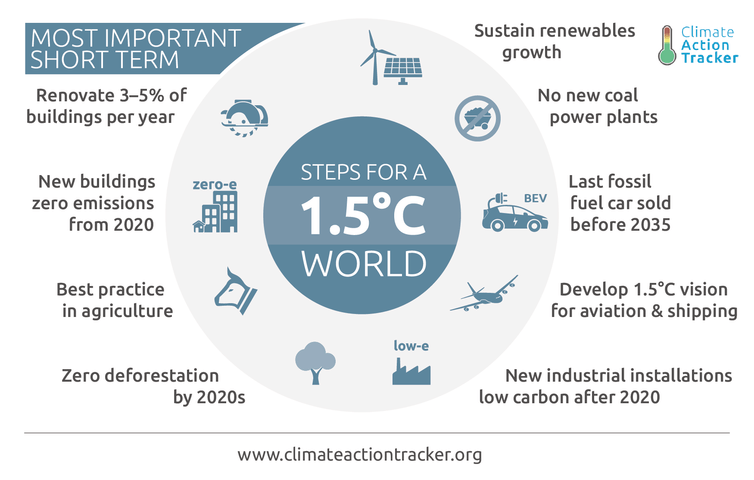 We looked at all the major emitting sectors and the most recent scientific analyses of what can be done – and how fast – to come up with a list of the most important things to do in the next five to ten years to bend the emissions curve downwards. Here’s the good news: for all areas, we show signs that a transition of this magnitude is possible. In many cases, it’s already happening. 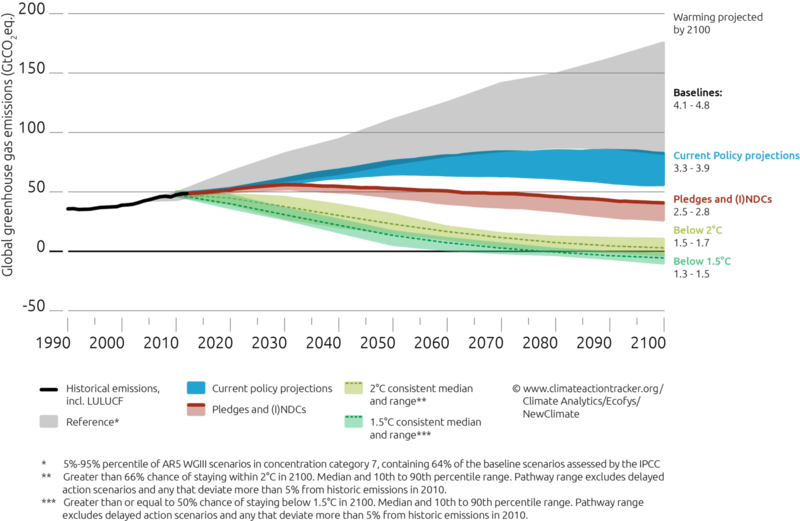 The scientific literature shows that decarbonising the electric power sector is the most important, fastest and cheapest step, reinforced by rapid reductions in the price of renewable technologies such as wind and solar power. The most important thing to know about the feasibility of reducing CO2emissions from the power sector to zero by 2050 is this: if we continue the growth rate of wind and solar we’ve seen in the past few years for the next decade globally, we will be well on the way to achieving this goal. That means we will need to phase out coal. We need to reduce emissions from existing power stations – but that is already happening – and we will need to cancel any new coal capacity in the world. We know that renewables, energy efficiency and, in a number of cases, natural gas, can meet foreseen power needs, while lifting millions of people out of poverty. Reducing coal emissions from power will have substantial benefits for human health: more than half the pollutants that cause damage to human lives, ecosystems and agriculture comes from fossil fuels. A number of governments have already committed to doing this: we’ve seen China’s emissions peak in 2013 and continue to drop. The UK has promised to phase out coal by 2025; and we’ve seen regions in other countries, such South Australia, close their last coal plants. All this takes is political will and effort, and a just transition for workers that enables communities to move from coal to alternative means of employment and energy production. We also need to electrify the transport system, starting with cars. In the early 1900s, Henry Ford took cars into mass production. A century later, we’re on the brink of the next major transition towards electric vehicles, pioneered by manufacturers such as Elon Musk’s Tesla and making a major contribution to reducing emissions from transport. Just before the Marrakech climate talks, China, which has the world’s biggest and fastest growing market in quantitative terms, announced it would introduce quotas for electric vehicles. This was a shock for German and other European car manufacturers, who anticipated their future as being based on old fossil fuel technologies. One can only hope that these manufacturers will now rush into electric mobility. We calculate that the last fossil fuel car has to be sold before 2035 to be in line with holding warming to 1.5°C. Aviation and shipping remain of great concern, and we find efforts by the industry, including technology standards and emissions offset schemesfor any extra emissions after 2020, don’t have the teeth to really make a difference in this sector. There’s also a risk that these measures could obscure the need for much deeper and further-reaching changes. Another huge sector is buildings. It’s very important that new buildings move towards near-zero energy by 2020. New buildings can be built in a way that produces net zero energy. The upfront investments are recovered by the zero energy costs during operation. Given the rapid growth of infrastructure in much of the Global South, as well as ongoing replacement of old buildings in the developed world, efforts toward ensuring zero-energy buildings become the global standard for new construction need to be accelerated. This will already be the case in the EU from 2020. Of course, we still need to do a lot with existing buildings, one of the most difficult areas for governments to tackle. We know that clean energy renovation is highly beneficial not only to occupants and the environment but also to the economy. Renovation rates need to be at least tripled. These measures need to move beyond being voluntary and underfunded to being backed by regulation and proper financial support. Deforestation remains a serious issue in many countries, causing large-scale air pollution, loss of biodiversity, and affecting the livelihoods of local people. We know however, that reducing emissions to 95% below recent levels by 2030 will have large sustainable development benefits. The other areas we have to look at are the industrial sector and agriculture, but again, we find there are solutions and steps that these sectors can take. The industrial sector needs to move to state-of-the-art low-carbon technologies for all new plants as of 2020 and agriculture needs to apply current best practices. There has been so little climate action since the world first started talking about emission reductions in 1992, when the UN climate convention was adopted, that we have nearly used up the carbon budget available to limit warming to 1.5°C. As a consequence, technology that removes CO2 from the atmosphere will need to be deployed 30 years from now, to hold warming below 2°C, let alone limit warming to 1.5°C. It’s important to realise that even if we reduce emissions to zero ten years before the most advanced models indicate (around 2035), we will still need to deploy negative emission technologies at scale. That means that if we are successful and throw everything at the problem, plus the proverbial kitchen sink, we still need to be preparing to deploy negative emissions technologies from the 2040s onward. About the only good news from this is that we have time to research this, test it and work out the most sustainable way of doing it.